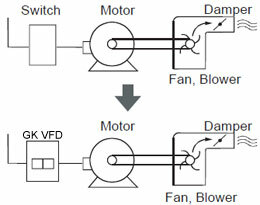 If we are having a dual drive philosophy for a fan/blower - arrangement is such that VFD driven motor is in operation and there is a standby motor (Direct on line starter) on the same shaft with declutch arrangement. Will it be possible for the standby motor to take full load in case VFD driven motor trip with in say 7-10 seconds? If yes what is the best possible arrangement/solution for such critical application if we want to avoid the trip. If anyone having idea about over-running or freewheeling movement (with clutch armament) - which one is recommended and what are the pros and cons of each philosophy. The three phase voltage supplied by the PWM variable frequency drive, differently from a purely sinusoidal voltage, is not balanced. That is, owing to the variable frequency drive stage topology, the vector sum of the instantaneous voltages of the three phases at the variable frequency drive output does not cancel out, but results in a high frequency electric potential relative to a common reference value (usually the earth or the negative bus of the DC link), hence the denomination "common mode". The sum of the instantaneous voltage values at the (three phase) variable frequency drive output does not equal to zero. This high frequency common mode voltage may result in undesirable common mode currents. Existing stray capacitances between motor and earth thus may allow current flowing to the earth, passing through rotor, shaft and bearings and reaching the end shield (earthed). Put a braking resistor on variable frequency drive. If the VFD has provisions for DC Bus voltage control utilizing an external resistor, buy the resistor and install it. If the variable frequency drive does not have that control, it can be added as an option package on most drive models. 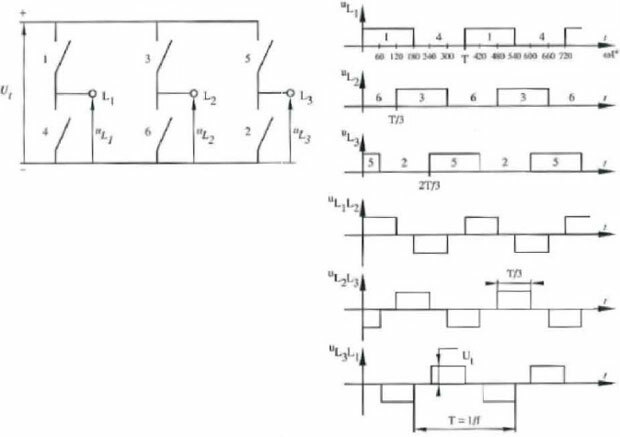 Otherwise the only way to compensate for this is to change the variable frequency drive parameters to prevent the VFD from decelerating the motor too quickly causing the regeneration which jacks up the bus voltage. The VFD rectifies the incoming AC line to produce a DC voltage that feeds and inverter stage consisting of 6 IGBT switches. The switches are operated to create a pulse width modulated (PWM) output voltage between the M1/M2/M3 output terminals. The voltage between the output terminals provides the necessary variable frequency and variable voltage power source to operate the motor over a wide speed range. A side effect of the PWM process is that there is also a voltage generated between an imaginary star point on the 3 phases feeding the motor (M1/M2/M3) and the star point of the incoming AC supply.